This is the number one complaint I hear from people who have concerns about their quality of life. Many of us feel that everyone else around us controls our lives. Trapped by the demands of others and running non-stop, people live as if they are stuck on a treadmill locked on “marathon”. This pressurized 'doing' leads to a lack of life balance that adversely affects you at work and at home. Does this sound like your life? Not to worry. You can create more balance in your life by working through five simple steps that will break the uncontrolled cycle and free you to live a balanced, satisfying life. These practical steps allow you to clearly identify your priorities, set boundaries and delegate, let go of unnecessary activities, pursue good health, and lastly, free yourself with a 'technology intervention'. You can learn to spend your time and energy wisely on what really matters: bringing more balance to your life. Here are five simple, practical steps towards reclaiming control and finding balance in your life. First things first: you must decide what is important to you and clearly set your priorities. This is essential towards achieving a well-balanced life. Figure out what really matters in your life. Honestly assess what you want your priorities to be -- and not what you, or everyone else, thinks they should be. Is your job interfering with your personal time? If so, you may want to reassess your priorities at work. The key to a well-balanced life is to understand that true balance comes from home and work. 2. Re-gaining control – do you do everything? Remove yourself from the do-all position. Set boundaries for what you will do and delegate tasks. Ask for help and use it, when tackling a large task. This major step is a very important part of the process of making your priorities real, by honoring and taking care of you . By clearly communicating how you will allow others to interact with you, you re-establish control in your life. Setting boundaries and delegating often leads to greater satisfaction, productivity, and creativity in your work and personal life. 3. Clinging to unnecessary activities? Once you have a concrete list of what really matters to you in your life, cut out any activities or tasks that do not support your priorities. Then, adjust your schedule to include only the activities that make your priorities a reality. 4. Too tired? Too often? Constant exposure to stress can lead to exhaustion and burn out. To minimize the effects of stress on your health, pursue the following: 30 minutes of sustained daily exercise, eat healthy foods high in antioxidants, drink plenty of water, and make sure that you get 6-9 hours of sleep each night. Focused relaxation, such as meditation or daydreaming, is a great stress reliever and energy booster. Find time for it every day. If you suffer from poor health; it is a clear sign that your life is out of balance. 5. Chained to your cell phone? -Email through only one electronic device. -No phone calls while driving your car. -Leave your work-based laptop at work. -Never take work of any sort – PDA, laptop, or paperwork - to bed with you. -Make your time off work as much of a priority as work time. Create a 'work is over' ritual that stops work time and allows you to transition to personal time. This can be something very simple, such as changing into comfortable clothes once you get home, or it could be a combination of detoxifying tips, such as shutting down your work laptop and no phone calls while driving, which would signal the end of your work time. Give yourself the opportunity to achieve life balance. Begin with the first step and discover a simple, practical pathway to a balanced, happy life. 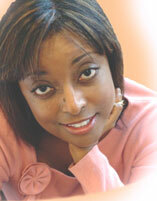 Diane Randall, Certified Wellness Coach & Self Care Expert, and Author of "Balance & Being"